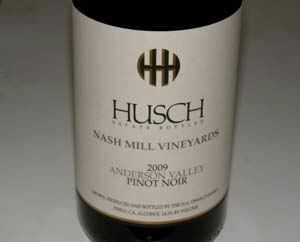 Founded in 1971, Husch is the oldest winery in the picturesque Anderson Valley. The vineyards are comprised of some of the earliest varietal plantings on the valley floor. In 1968, Tony and Gretchen Husch bought the 60-acre Nunn ranch between Philo and Navarro on Highway 128. The land was well known for growing apples and grains. They soon planted eight acres of Pinot Noir, Chardonnay, and Gewurztraminer grapes on the cool slopes of the property. The plantings sweep down towards the pristine Navarro River. The first official crush was in the fall of 1971. 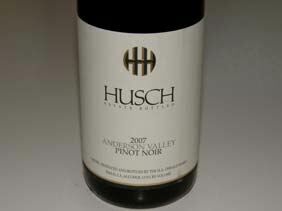 In 1979, Hugo Oswald Jr. bought the 6,000 case Husch Winery from the Husch family. The Oswald family had been growing pears in the Santa Clara Valley, but when the area was expanding they sold the land and headed for the southern tip of Mendocino County. Today Husch Vineyards remains owned and operated by the 3rd generation of the Oswald family: Zac Robinson and Amanda Robinson Holstine. Winemaking is under the direction of Brad Holstine. Al White, in charge of all viticulture operations, has been with Husch since 1973. 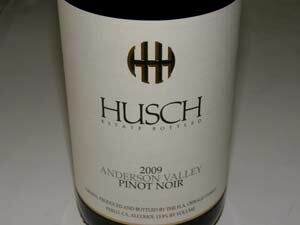 Through the years Husch has modernized and expanded, but it has never lost its initial rustic charm or reputation for great wines. Currently, 21 different wines are produced. The tasting room is in a refurbished pony barn dating back to the late 1800s and is open daily. 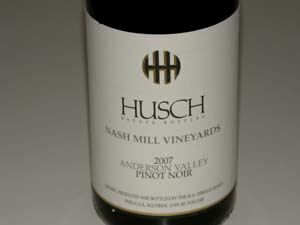 There are three Pinot Noirs: an Anderson Valley blend, an Anderson Valley Reserve, and the Knoll (original estate plantings of Pinot Noir).